Dancers Unite is the top studio in South Charlotte for Competition Tap! 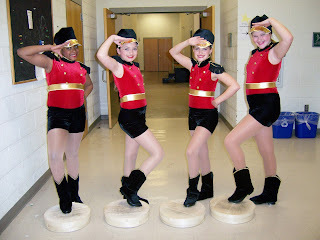 We have a well rounded competition dance program where we strive to make our tap instruction the best in Charlotte. You don’t have to take our word for it – our tap instructor was featured in Dance Teacher Magazine for a video made of her tap class that won Best Instructional Video out of an international contest. Our tap competition routines have won numerous first places, overall rankings and special judge’s choice awards. For more information about how to join our Competition Team and compete in tap, please see our Competition Dance Page.